Note: Generators require freight shipment. Lift gate and home delivery charges may apply. Follow these safety tips to protect against CO poisoning. Protecting your business from disasters caused by natural hazards can involve a variety of actions, from inspecting and maintaining your buildings to installing protective devices. Most of these actions, especially those that affect the structure of your buildings or their utility systems, should be carried out by qualified maintenance staff or professional contractors licensed to work in your state, county, or city. One example of disaster protection is installing a generator to provide electricity during power outages. Once you have identified the essential systems and equipment, determine how much power they require. 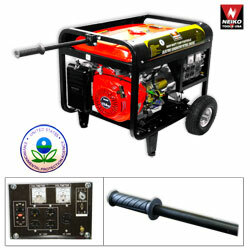 Then check with a generator sales representative regarding the appropriate size and type of generator. The sales representative can also help you select other components of the emergency power system, including the main transfer switch and the electrical panel. Protect your generator and its fuel tank from flooding and high winds. In flood hazard areas, mount the generator and tank securely on concrete platforms, above the expected flood level. Install the generator and tank inside or next to a building or protective structure to shield them from wind and windborne debris. Electrical and fuel supply lines must also be protected. And remember that your generator must be accessible for maintenance and that exhaust gases must be routed to the outside if the generator is installed in an enclosed area. Some systems and equipment may have to operate continuously (refrigerators for example), while others may be needed only during normal business hours (such as office equipment). Before you buy a generator, ask your utility company if it has regulations that govern the use of emergency power equipment. Also, the installation of the generator and all wiring, switches, and other electrical components must meet the requirements of your local electrical code. Be sure to maintain an adequate supply of fuel. Your sales representative should be able to tell you the generator’s rate of fuel consumption at various power output levels. 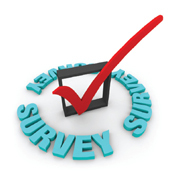 Follow the manufacturer’s recommendations for routine maintenance of your generator. The cost of a generator will depend on the types and amount of equipment and systems that need to be powered, the requirements of local codes and utility companies, the type of generator you choose and its specifications (amperage, voltage). CPR Savers & First Aid Supply is your source for emergency supply products such as portable generators for emergency preparedness in the case of disaster, hurricane, flood, or fires.